Carnegie Mellon University’s 2019 International Film Festival, “Faces of WO/MEN,” is right around the corner, but movie buffs can view “Woman at War,” a sneak preview to the festival, at 6:30 p.m. Friday, Feb. 22 in the Cohon University Center’s McConomy Auditorium. “With its breathtaking landscapes, quirky soundtrack, and feel-good take on pressing issues, ‘Woman at War’ will give audiences a glimpse into the unique films and important themes we have in store for our fresh and bold season,” said Jolanta Lion, director of the festival and assistant director of the Humanities Center in the Dietrich College of Humanities and Social Sciences. 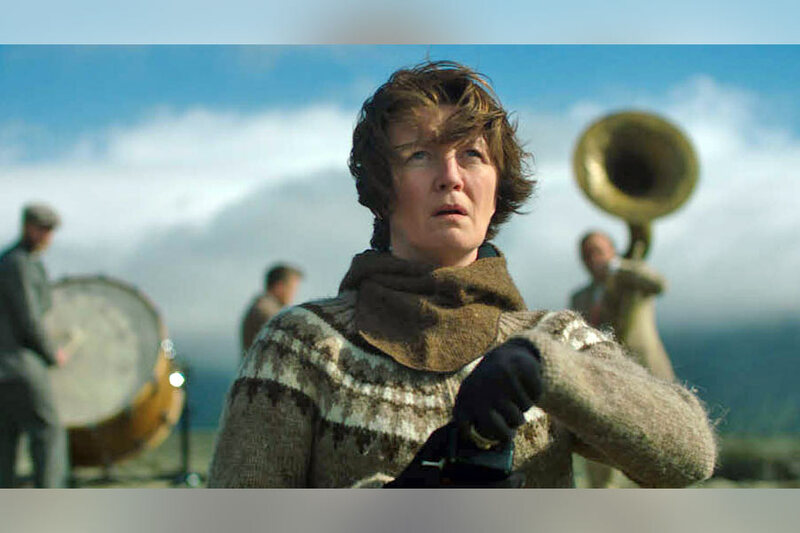 Winner of “Best Feature” at the 2018 Hamburg Film Festival and Iceland’s 2019 Oscar selection for Best Foreign Language Film, “Woman at War” is the second feature film from Icelandic director, author and actor Benedikt Erlingsson. The film follows Halla, a 50-year-old choir director who leads a double life as a passionate environmental activist. Known as “The Woman of the Mountain,” Halla wages a one-woman-war on the local aluminum industry. Halla’s actions grow from petty vandalism to industrial sabotage, even halting official industrial negotiations. As she prepares her boldest operation yet, Halla receives some unexpected news that may force her to abandon her role as savior of the Highlands. In response, she decides to plot one final attack that will deliver a crippling blow to the aluminum industry. Co-presented by CMU’s Sustainable Earth, the viewing includes refreshments and a panel discussion with local environmental activists such as Maren Cooke, moderated by film critic Barry Paris.